I ruined our last iron when I put it on a material I shouldn't have. 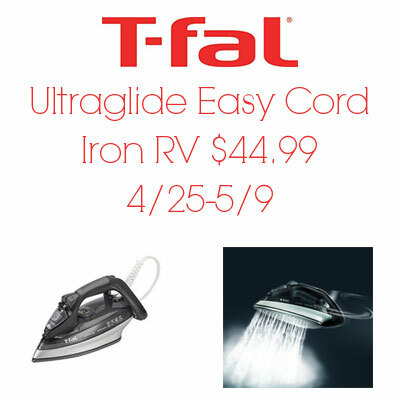 Do you need an iron, too? Giveaway here is US only and runs through 5/9. Good luck. 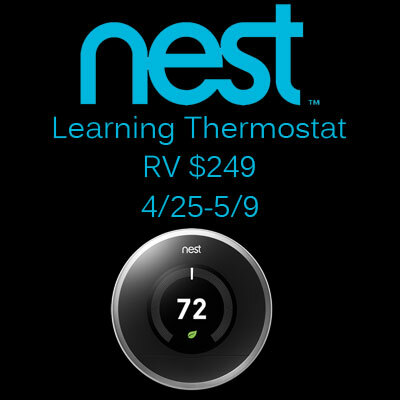 Dual self-cleaning technology with the calc-recollecting valve and integrated anti-scale system and Anti-drip system; Extra Long Cord of 12 ft.
Go digital if you win a Nest Learning Thermostat. No more fighting over the thing, or at least if you do, you fight online. Giveaway runs through 5/9. US only. Good luck. 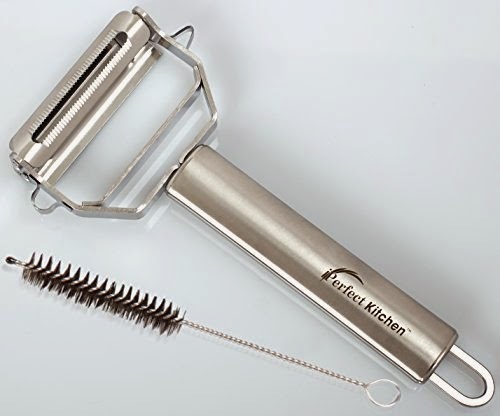 Just promise to do a review on Amazon and you can get this $15 vegetable peeler for just $1.95. You'll then be notified of similar deals that happen twice a day where you can get products at 80-90% off, with a promise you'll do a review on Amazon. Do you like those food pouches to give the kids some food? Here's a set of reusable ones that you can win. Giveaway runs through 5/9 and is US only. Don't miss out if want to win these. Good luck. 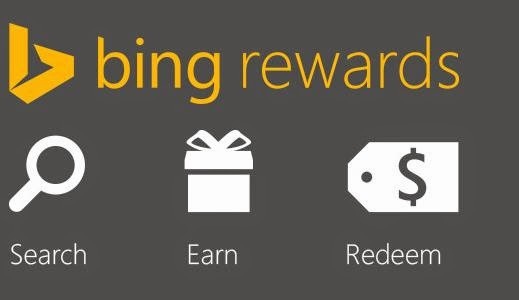 Register and win one of two Microsoft Surface 3 tablets. US only. 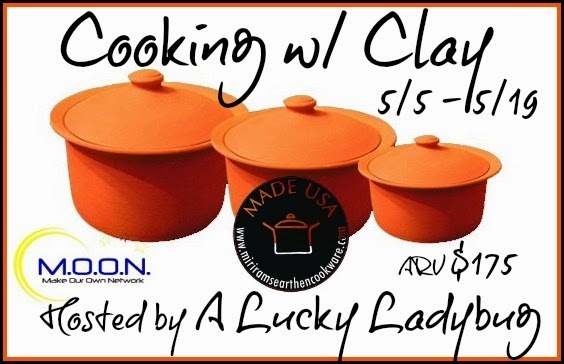 Giveaway ends 5/22. Here's a giveaway with the best prize available, cash, in the form of a $200 Visa gift card. US residents only. 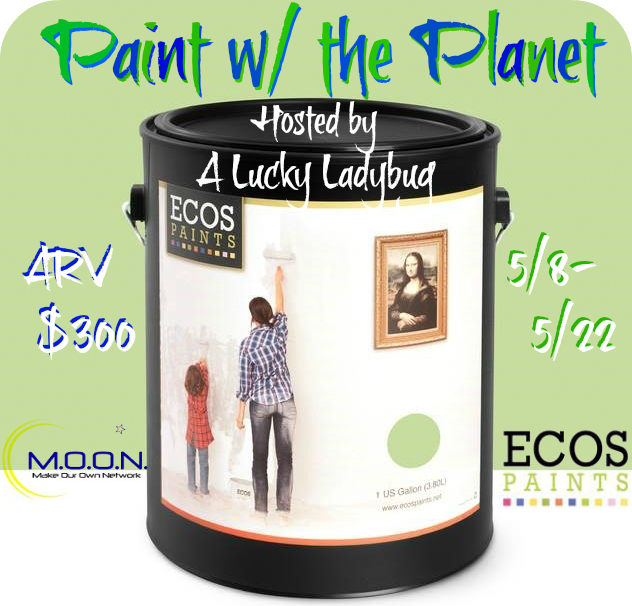 You have through 5/17 to enter to win. Good luck. Moms can visit the link and click to “Drop the price" of the Fisher-Price Musical Dino. For example, in today’s promotion for the Musical Dino, it started out at $29.99 and for each mom that clicks, the price drops a bit. 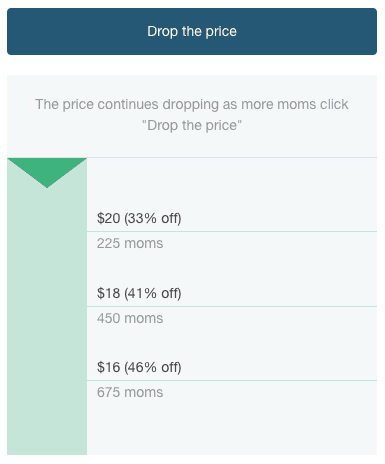 The price will continue to drop for each mom that participates until it reaches $15.00 (50% off). This promotion also includes free shipping anywhere in the US! Try a free first class. Classes available for children from newborn to age seven. Immerse your child in a musical atmosphere of play, song, and dance - while developing fundamental skills. 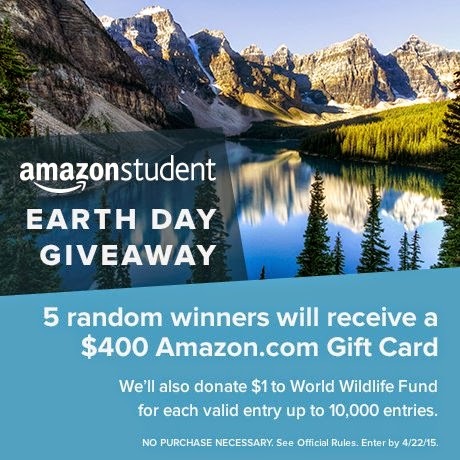 Similar in nature to the #KidsBuckleUp giveaway with another $100 Amazon gift card giveaway, here we're giving away a $100 Amazon gift card, too, but more for a greener earth then car safety. Enter through 5/8. US only. Blog­gin’ Mamas would like to sup­port the Ad Coun­cil and Keep Amer­ica Beau­ti­ful, the national non­profit orga­ni­za­tion, which recently launched the newest phase of the “I Want to Be Recy­cled” pub­lic ser­vice adver­tis­ing cam­paign. The PSA cam­paign aims to raise aware­ness and inspire indi­vid­u­als to recy­cle more with the lat­est series of ads focused on recy­cling in the bathroom. Bloggin' Mamas is sponsoring a $100 Amazon giftcard as a prize for a giveaway designed to spread the word of the campaign. Per­sonal care prod­ucts like sham­poo and lotion bot­tles, toi­let paper rolls, and tooth­paste and soap boxes are sig­nif­i­cantly less likely to be recy­cled than kitchen prod­ucts. New research com­mis­sioned by the Ad Coun­cil found that 47% of peo­ple are not recy­cling mate­ri­als in the bathroom. Accord­ing to a recent study con­ducted for the Ad Coun­cil, 52% of Amer­i­cans don’t know which items can be recy­cled in the bath­room. And only 10% of Amer­i­cans have a recy­cling bin in their bath­room, com­pared to the 45% who have them in the kitchen. That’s why the “I Want To Be Recycled” campaign has partnered with Vevo’s Do It YourSelfie with Tess & Eva, who recreate the looks from today’s hottest music videos. These two glam experts, known for their DIY hair, makeup and design tips, created a new PSA this Earth Day reminding Americans that those bathroom products deserve to be recycled too! Deliciously Savvy is Hosting a Giveaway For all things Dad! Lots of Cool Prizes for That amazing Man in Your Life! Valued at $180! More may be added. 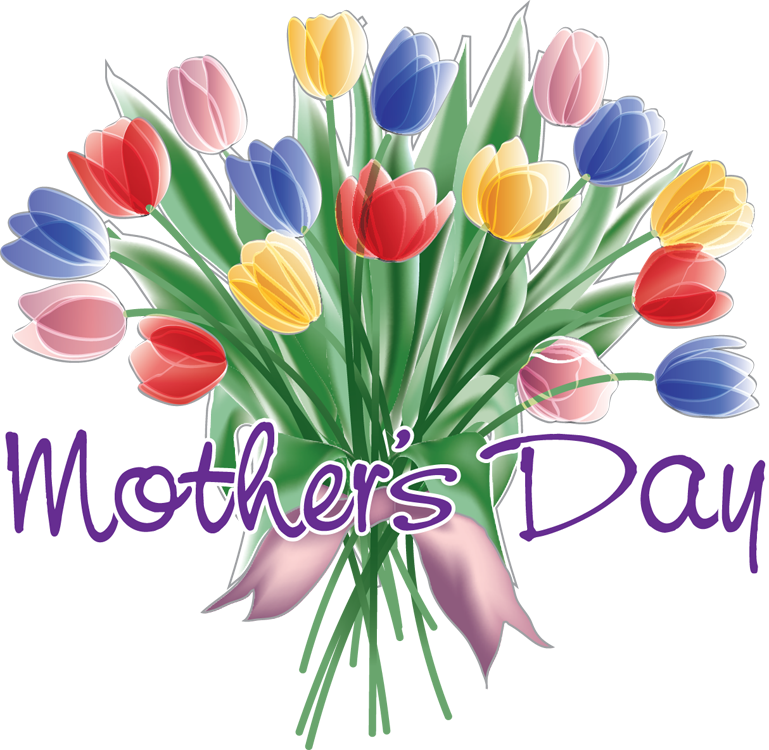 With springtime finally here and the snow finally gone here in Boston (except for those huge piles near the malls), it is time to start considering what to get the lucky ones over the different spring occasions like Mother's Day, graduation, and Father's Day (hint hint). 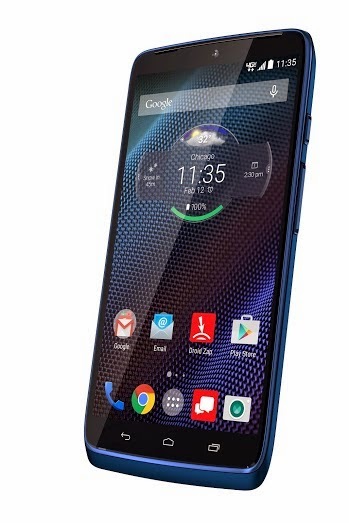 One such hot device is the DROID Turbo Sapphire Blue by Motorola. Personally, I've always been an Android fan. One thing I've always complained about and the reason why I'm always reviewing power banks here is battery life. 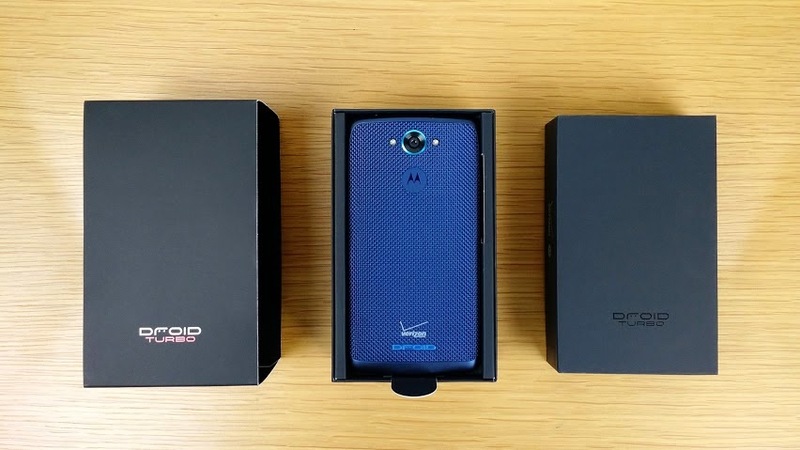 With the DROID Turbo Sapphire Blue, you can go a full two days without stopping to recharge with the largest smartphone battery, 3,900 mAh of power. Not only can you go long periods without recharging, but when it is time, you get a full eight hours of power in just 15 minutes with the Motorola Turbo Charger. Are you the parent of a tween? 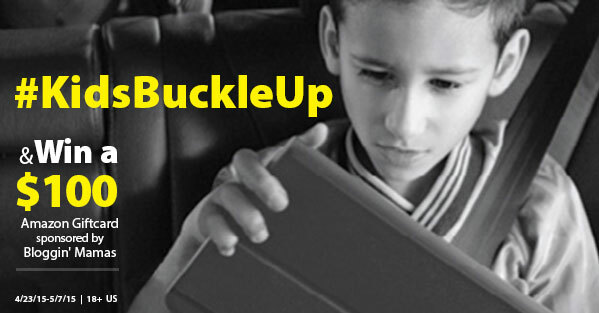 Read on about seat belt safety and you can win a $100 Amazon gift card. Giveaway is open to US residents and ends 5/7. Good luck. Blog­gin’ Mamas would like to sup­port the Ad Coun­cil and The U.S. Depart­ment of Transportation’s National High­way Traf­fic Safety Admin­is­tra­tion (NHTSA) with pro­mot­ing the Seat Belt Safety cam­paign, which asks par­ents of chil­dren ages 8–14 to make sure their kids are con­sis­tently and prop­erly wear­ing their seat belt every time they get in the car. 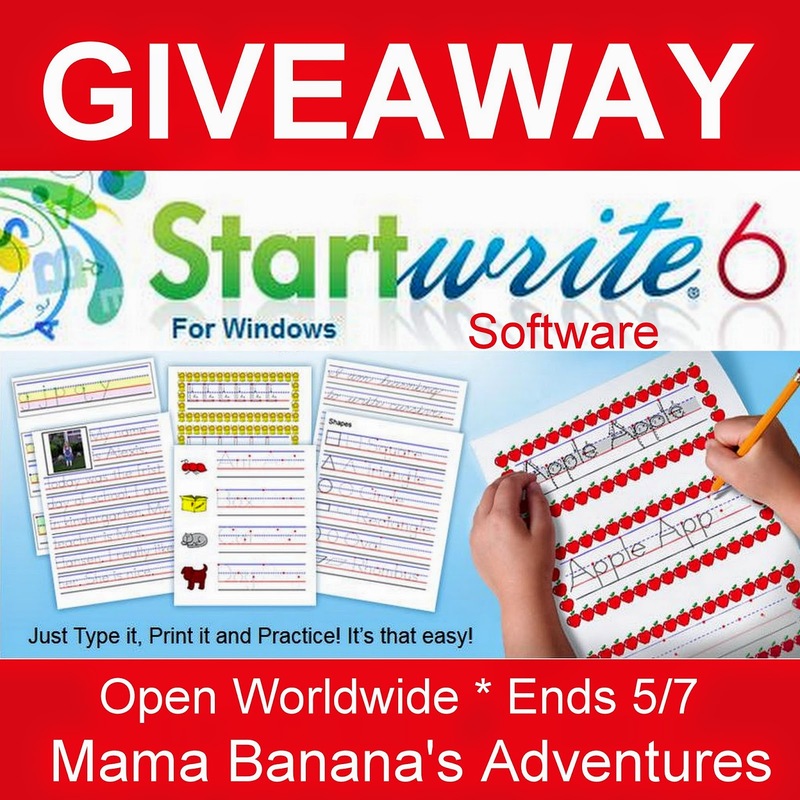 Startwrite 6.0 The Handwriting Worksheet Wizard Giveaway Open Worldwide Ends 5/7. 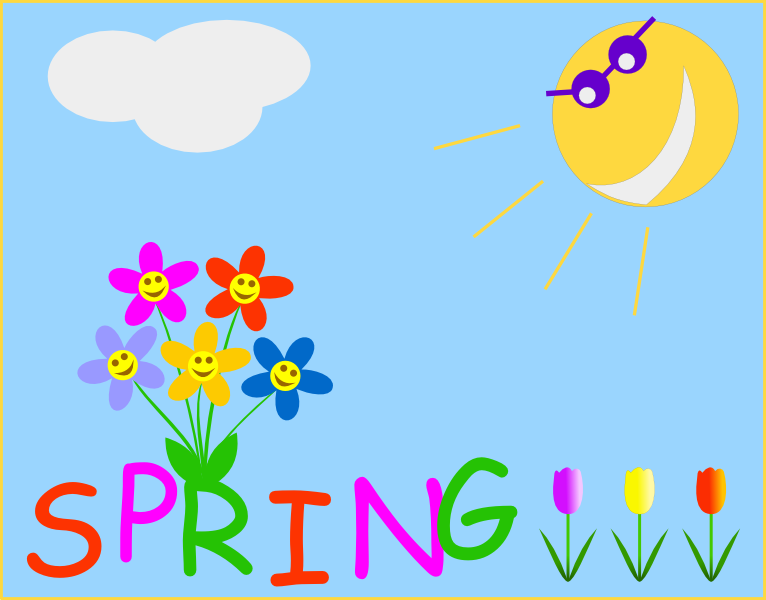 Weather you homeschool or public school, learning to write is a fundamental in education. There are many apps out there for electronic devices, however there isn't anything quite like writing on paper with a pencil. The fine and gross motor skills learned will carry one through a lifetime of writing needs including everything from writing a check to signing a Birthday Card. Startwrite The Handwriting Wizard Software was developed by a Dad who grew tired of drawing dots on paper to mimic preschool paperwork for his child. The software has evolved into something completely customizable. Everything from the wording, colors and border can be totally imaged and created by you. It can include clip art, "decision" dots which tell children which way to go. Read the Startwrite 6.0 Review and enter to win a copy of your own below. Thank you and good luck! This giveaway is open to legal residents Worldwide, void where prohibited. One lucky winner will receive a download of the Startwrite 6 Software for Windows. Winner will be contacted via e-mail and have 48 hours to respond. 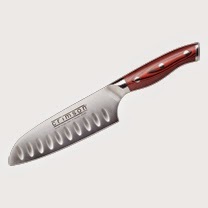 If no response is given, a new winner will be drawn. Register to win two pair of sterling silver earrings, one Simulated Heart Diamond and the other Simulated Ruby. 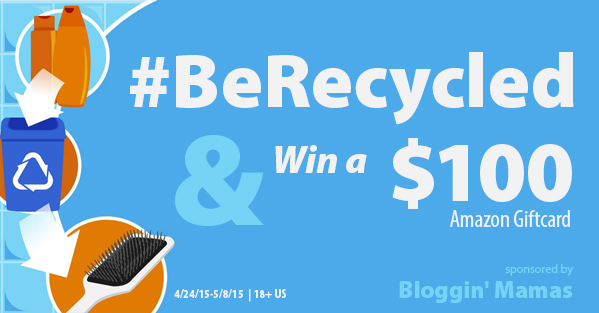 Giveaway runs through 5/5/15 and is open to US only. Good luck. 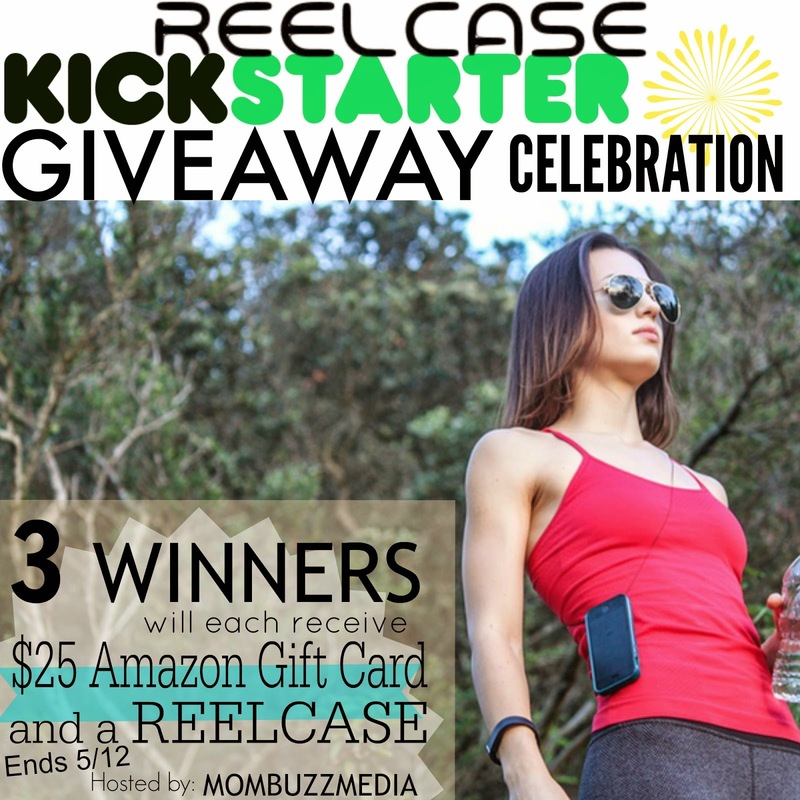 You probably saw some posts on Facebook and Twitter about ReelCase. Here's your chance to win a retractable lanyard for your mobile phone and a $25 Amazon gift card. Giveaway runs through 5/12 and is US only. Ever find yourself frantically patting your pockets and looking for your smartphone...just trying to capture that perfect moment before it is lost in time, only to miss it because it took you too long to get your phone out? Maybe you like to mountain bike, or rock climb, and wish you had easy access to your phone without having to stop down and unpack to get to it's super safe location? Or are you an everyday mom who's 2 year old screams bloody murder until you hand over your phone at which point they throw it at the ground and laugh at you histerically? 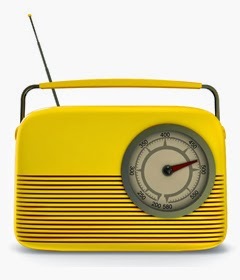 Enjoy the music if you win the Bluetooth speaker from LuguLake. Giveaway runs through 5/5. US only entrants. Good luck. Would you like to win a Portable Bluetooth Speaker with Dock Stand from LuguLake? This giveaway will run through 5/5 at 11:00pm Eastern Time and is open to US residents ages 18+. Winner is subject to eligibility verification. Winner will be notified via email (consider adding dealsofsweetness@gmail.com to your "Safe List" as winning email notification will be sent from this email.) and will have 48 hours to confirm before a new winner will be drawn. Please refer to the full terms and conditions in the Giveaway Tools. Want a chance to win one of five $400 Amazon.com gift cards? Enter now for the chance to win. Giveaway ends 4/22. Win a free pair of shoes from Shoedazzle. Giveaway ends 4/30, winner announced 5/5. We're in the middle of a string of giveaways for Dial soap coupons. Here's another one. I'll be starting one myself soon, too. If you like coupons for free products, be sure to enter below. US only entrants. Ends 4/28. Good luck. 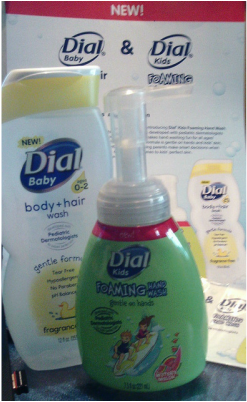 NEW Dial® Baby Body & Hair Wash and Dial® Kids Foaming Hand Wash. 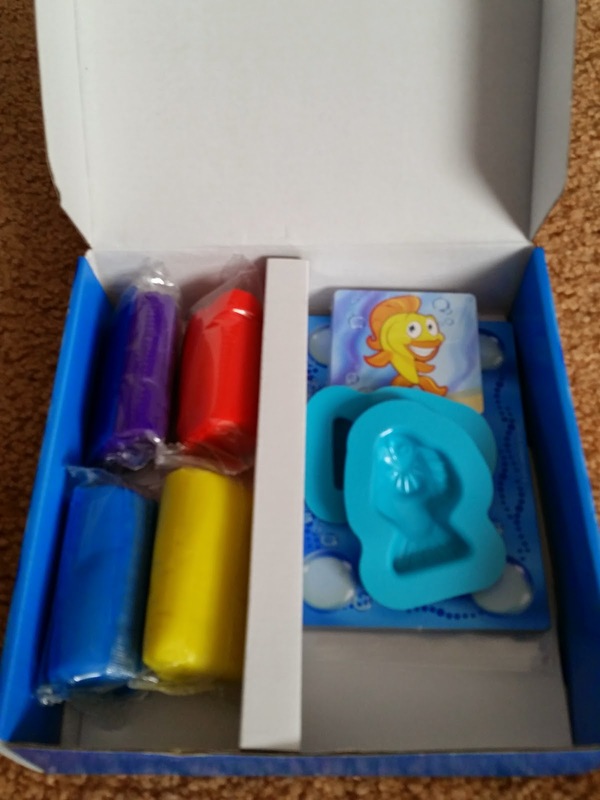 Dial is excited to announce its entry into the babies’ personal care with these two great products. Dial® Baby Body & Hair Wash developed with pediatric dermatologists for babies’ perfect skin. It gently removes environmental dirt for a head to toe clean. Dial® Kids Foaming Hand Wash developed with pediatric dermatologists that makes hand washing fun for all ages! Dial® Miracle Oil Hand Soap! Let the luxurious feel of Miracle oil gently remove dirt from your hands and leave them feeling smooth and refreshed. Dial® Miracle Oil Hand Soap is a nourishing and skin hydrating soap that will leave your skin feeling better than ever. Dial Miracle Oil Hand Soap is infused with Marula Oil and uses "Micro Oil Technology" to effectively nourish and hydrate the skin. 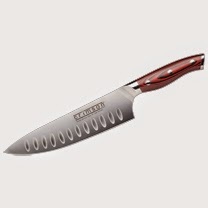 Visit Dial to learn more at these and other great products. Change of start dates for this. If you haven't signed up yet, you still have time. If you want to win, new start date is 5/1. See you then and good luck. Looking to win some games? You've come to the right place. We have four available here from Winning Moves Games. Giveaway is for continental US only and runs through 5/5. Good luck. You'll find a Fish, Fish, Squish review over at Java John Z's. The rest, you may or may not be familiar with. Guess Who? is a game to help teach the little kids logic, like does the suspect have blonde hair?. Scattergories Categories is similar to its namesake Scattergories game but with the each letter of a word meant to offer what words must star with. And lastly Connect Four Twist & Turn, which looks familiar to its namesake Connect Four, but has all the pieces in a circular tube instead of a flat grid. The big difference with the Twist & Turn version is you can twist the board as you play the different pieces. This allows pieces to shift levels, too, during moves. Winning Moves Games recently released their 2015 catalog of games and we had a chance to play with a few. 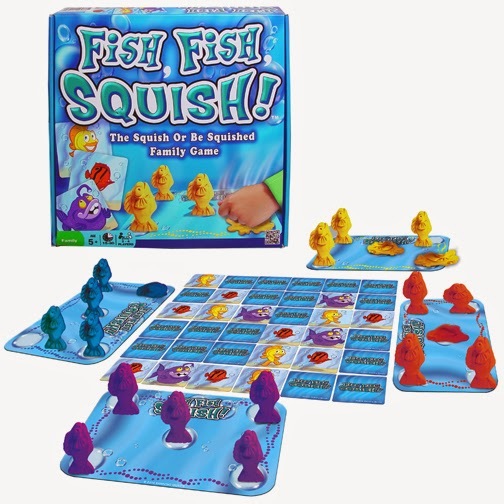 What follows is a review of one my son seemed to like most Fish, Fish, Squish! If they look interesting, you have a chance to win the same ones in a separate giveaway post. 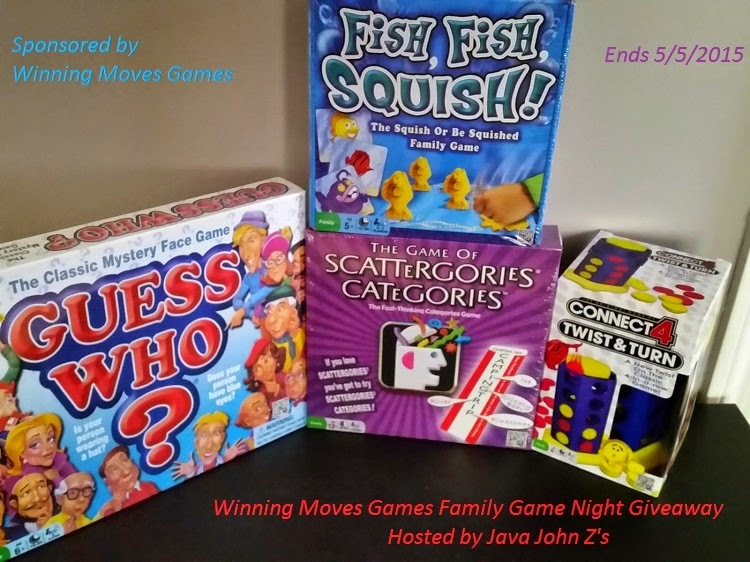 The four games you get to win in the giveaway are Fish, Fish Squish!, Guess Who?, Scattergories Categories, and Connect 4 Twist & Turn. Retail value of all four is $13.95 + $18.95 + $21.95 + $18.95 or $73.80 total. The Fish, Fish, Squish! game is a game involving modeling clay and a deck of cards. The object of the game is to be the person with the last fish standing. 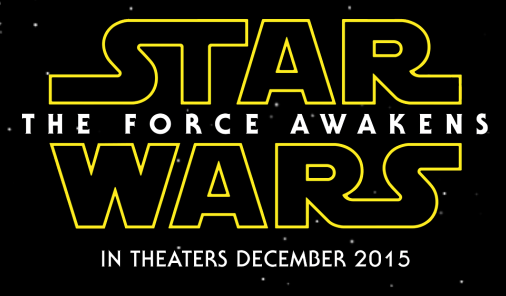 In case you missed it, the second trailer for the upcoming Star Wars moving came out recently. Interesting to see the new characters, and some old. I like the soccer ball robot in there that is real. Afraid you might have just accidentally lost your family photo album and videos? Check out the giveaway for Remo Recover Windows which you try to get you back up to speed in no time. The giveaway runs through 4/30 and is open to US residents. Get Back Those Memories That You Thought Were Lost Forever! 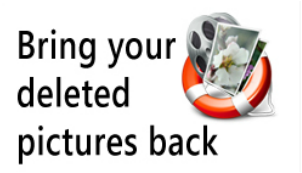 Remo Recover (Windows) Media Edition makes it possible to recover photo and video files easily. Here we have a pair of prizes for one lucky winner. Come and get them. Continental US residents have through 5/10 to try to win. Looks like a pair of interesting items to try to win. Good luck. 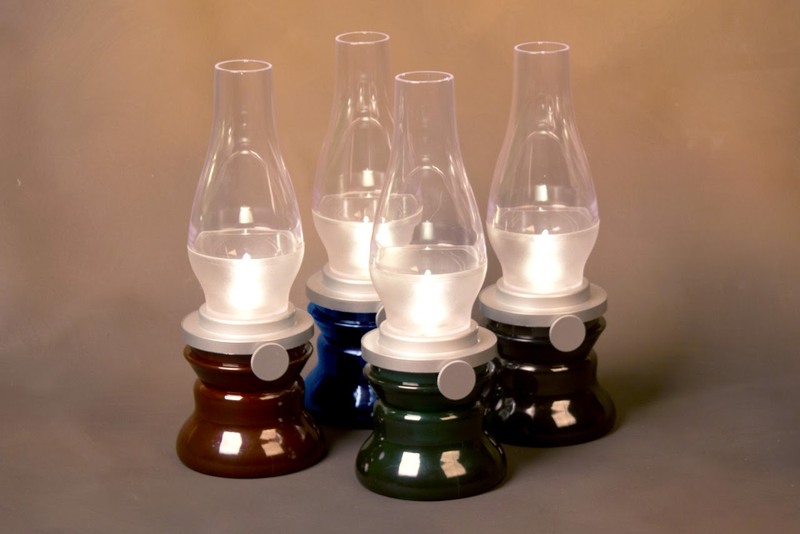 The LED Blow Lamp is a lamp you can blow to turn off or on. Battery operated, (batteries not included), the glow from the LED light pulses, mimicking the appearance of a real lamp flame. Also, you can turn the knob on the side to adjust the brightness of the light, just like a real oil lamp. To turn the lamp off or on, simply blow into the top of the lamp! Available in black, green, blue, and red. When I went off for college oh so many years ago, I went with a dual floppy Eagle portable computer. It was an early Compaq clone and it weighed in a pound and a half more than the more popular Compaq at 32 1/2 pounds. Yes, that was a PORTABLE computer. I eventually added a hard drive on a card to the machine, probably bringing it up to 35 pounds. Nowadays, 35 pound is heavy for a desktop machine. 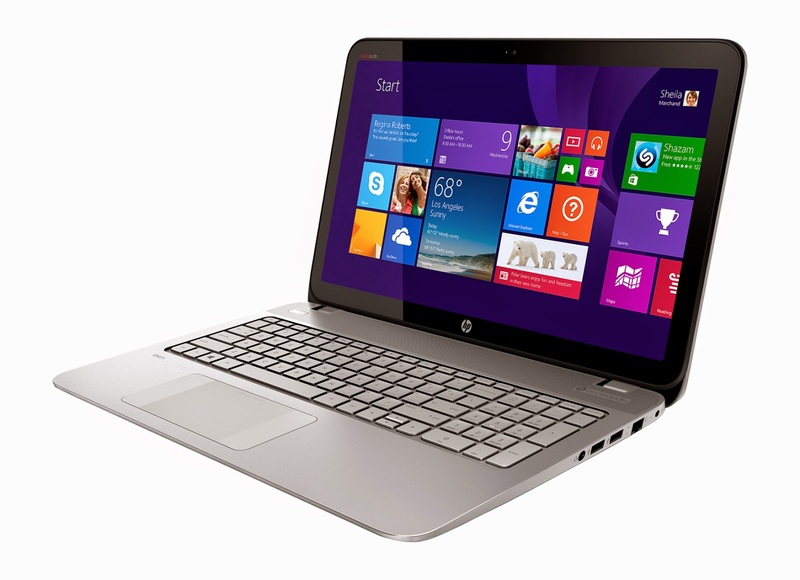 What you can find now over at Best Buy is HP's Envy TouchSmart 15.6″ Touch-Screen Laptop. It is a big improvement over that early laptop I had. The TouchSmart makes multitasking a breeze so you can spend more time with your family! The Quick AMD FX series processor is great for daily tasks such as managing your personal life or streaming movies or videos and provides great video quality for gaming or catching up on your favorite youtube videos.The AMD FX Special Edition APU introduces mobile systems with AMD’s highest performing APUs, exclusive at Best Buy. When you are looking for a notebook, the AMD FX Special Edition APU will provide you with unbelievable performance, gaming and productivity. Plus, with the new FX APU powered notebook, be unbeatable and experience the processing power of 10 compute cores (4 CPU + 6 GPU)**!